Choose permanent crossing for your temporary residences. 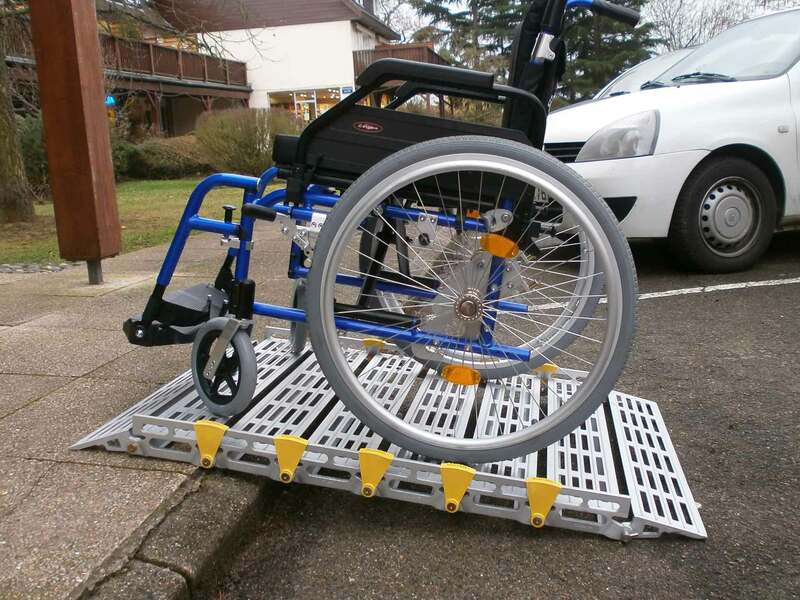 The modular aluminium ramp is perfectly suited to provide wheelchair or scooter access. It is very easy to install and has no fastenings. 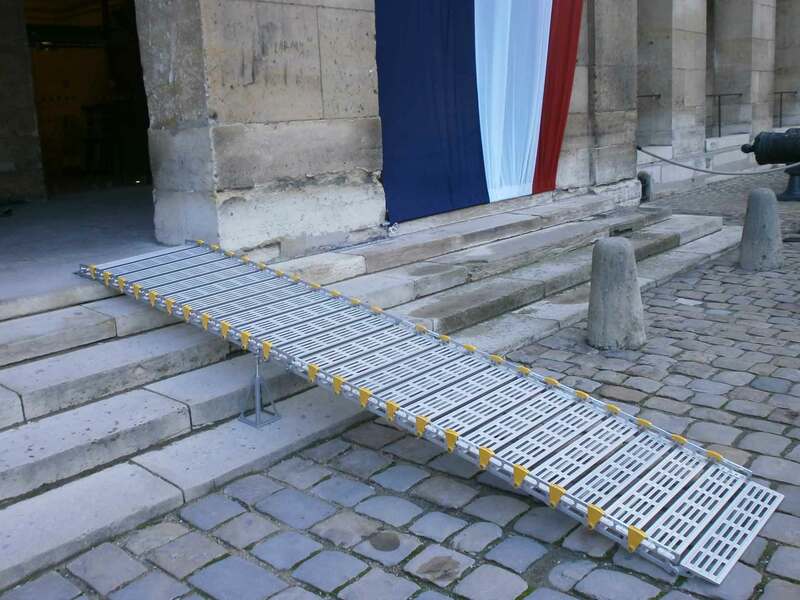 Create a permanent or temporary crossing in your places of residence using the modular aluminium ramp! It is lightweight and practical and is installed quickly and without fastenings. 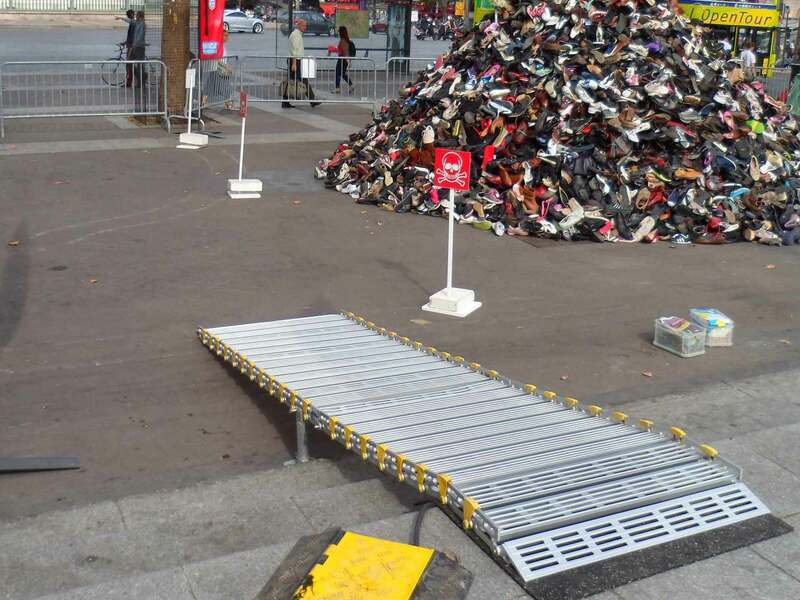 The modular aluminium ramps allow to climb from one to six steps for a length of one to six metres. Using the junction pins, you can adjust the length of your ramp depending on the event’s constraints. 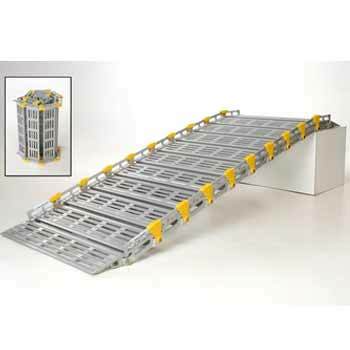 Don’t hesitate to enquire to define the correct ramp length for your situation which will be compliant with applicable regulations. To choose the correct ramp length calculate as follows: step height / 0.15 + 30, then round up to the next highest segment. Supplied with stands (if necessary) and non-slip mat.